Consider a new seating arrangement. It’s possible that eat at your table, in his high chair with the tray removed (strapped in if necessary), or in a booster or clip-on seat, or at his own child-size table might make your toddler feel less restricted and more grown-up. Stop feeding him. A toddler’s hunger for independence and new experiences is a lit greater than his hunger for food. 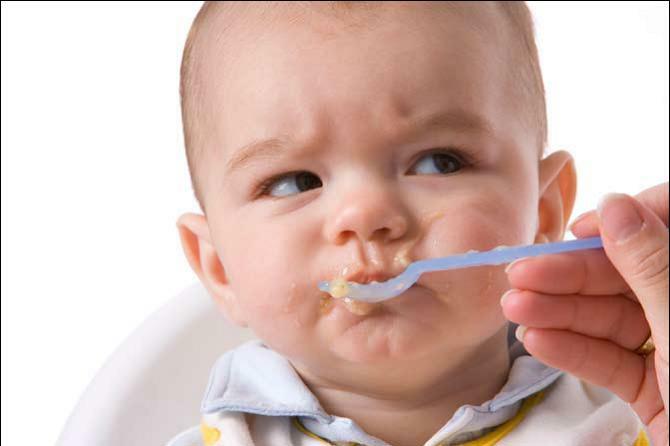 Even if he’s not yet skilled at it, letting him feed himself may make him more willing to devote some time to eating. Keep him company. Even if you’re not dinning at the same time, sit down with your toddler while he eats. Make dinner-table conversation, but don’t talk about how little he’s eating or how much he’s squirming. (As if to prove the point that nothing is certain with toddlers, some young toddlers eat better when a grown-up isn’t hovering; they find the company distracting. If your child isn’t buckled in, however, you should sit next to him anyway until you’re pretty confident he won’t take a spill). Be ready to call it quits. When your toddler’s had enough, and lets you know this by striving by escape the table or playing with his food, let him go – if he’s eaten very little. Release him with a matter-of-fact ‘Oh, you’ve had enough? Okay,’ rather than a carping ‘You never eat anything!’. And don’t follow him to his play area with a forkful of food, pleading, ‘Just one more bite!’ Such pushing of food can not only set up later eating problems, but also give your toddler the idea that ‘I don’t have to eat at the table. Mum or dad will feed me while I play.’ If he gets hungry later, make it clear that he’ll have to sit for a snack. Stop sending in the clowns – and quickly. A toddler who is cajoled into eating but parental acrobatics, juggling, songs and dance, stand-up comedy routines and other variety act soon comes to expect dinner theatre at every meal and balks when her food isn’t served up with equal servings of entertainment. Your goal isn’t to ‘get’ your toddler to eat, but to let her eat. In order to avoid future feeding problems, it’s important to allow her appetite to guide her food consumption. She needs to associate eating with being hungry (‘My tummy’s growling, so it must be time for me to eat’), not with being amused (‘Daddy’s standing on his head again, so it must be time for me to eat’). If when you bring down the curtain on your mealtime performances your daughter stages a few melodramas of her own life (in the form of tantrums, table banging, hunger striking) resist the temptation to don your tap shoes and funny hats for ‘one last show.’ Stay calm and nonchalant – as if her eating, or not eating, didn’t matter to you in the least (which it couldn’t, as long as she’s growing normally). Rest assured that once hunger triumphs over stubbornness, your toddler will eat again, even if the show doesn’t go on. But just because you’re no longer providing your toddler with table-side performances doesn’t mean you shouldn’t be providing down with her (even if you’re not eating your meal, join her a light snack or a beverage), and interacting with her gives. Putting more ‘fun’ in the food you serve your toddler can also satisfy her appetite for entertainment.